Coverall Semi-Gloss is a quality interior vinyl acrylic enamel which provides excellent scrubbability and washability. 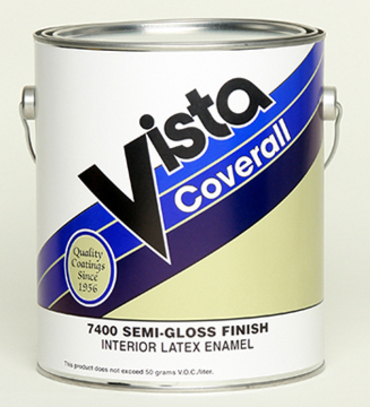 For use on new or previously painted drywall, plaster and wood surfaces. Excellent choice for commercial, institutional, new home construction (walls and trim) and property management projects. Recommended Uses: Properly primed new and existing interior drywall, plaster, concrete, masonry and wood. Not recommended for wood cabinets. For a block-resistant enamel, use Carefree Semi-Gloss. Colors: White, Swiss Coffee, Shell White, Off White, Indian White & custom pastel colors to order.